Are you looking for a 10-bbl brewing system at a great price? Currently in our Detroit warehouse, we’re housing a beautiful, copper-clad, two-vessel, 10 bbl brewhouse, and we’re looking for a buyer interested in upgrading to a 10 bbl system. The two-vessel, semi-automated 10 bbl brewhouse is competitively priced at $62,500, and buyers are responsible for freight FOB Detroit. This is a great opportunity for a brewery looking to save on a world-class, 10 bbl brewhouse, so act fast before this beauty is sold! 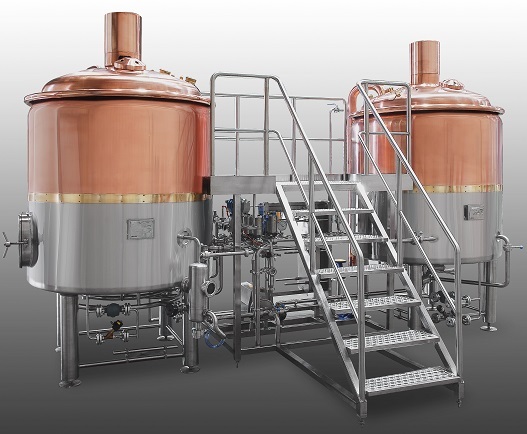 The brewhouse features a copper-clad finish and is a two-vessel configuration. One vessel is a combined Mash Tun and Lauter Tun while the other is a combined Wort Kettle and Whirlpool. Some of the key features include motorized rakes in the Mash and Lauter Tun, a Variable Frequency Drive (VFD) to control motor speeds, condensation collection, vessel lighting assembly and a level gauge. Fit your timeline? Interested in more information? Give us a call at +86 151 5833 0258 or contact us by filling out the form below. You can find more information on Lehui Craft’s brewhouses here, or if you’re looking for other brewing equipment, please visit our products page. Stay tuned for promotions on brewing equipment, industry news and the latest happenings in the craft beer industry.